We are an environmental friendly group engaged in formulating a wide range of Bio-Organic fertilizers. These fertilizers are known to increase crop production and decrease the usage of chemical fertilizer and irrigation water. With the help of this fertilizer even marginal lands can be made useful. Organic Foods and vegetable can be produced if these biofertlizers/ biopesticides are used along with the organic manure . 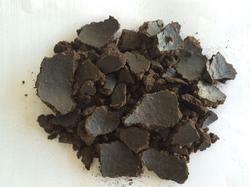 Our customers can avail from us a high quality range of Neem Cakes. These cakes are primarily used in the pharmaceutical, cosmetic and agricultural sectors of the industry. We manufacture these products by making use of highly advanced methods in a well-equipped infrastructure unit. Additionally, the entire production process is conducted in strict compliance with the industry standards and norms. 5. It has antifungal properties and highly suitable for application in Greenhouses. Packaging Details: As per customer requirement or 50 Kg PP Bags or in corrugated box.